« Why keep fishing records? When fishing on the top of the carp or other carp tackle, there are frequent cases of catching large carp, and the process of hauling fish can take a lot of time. 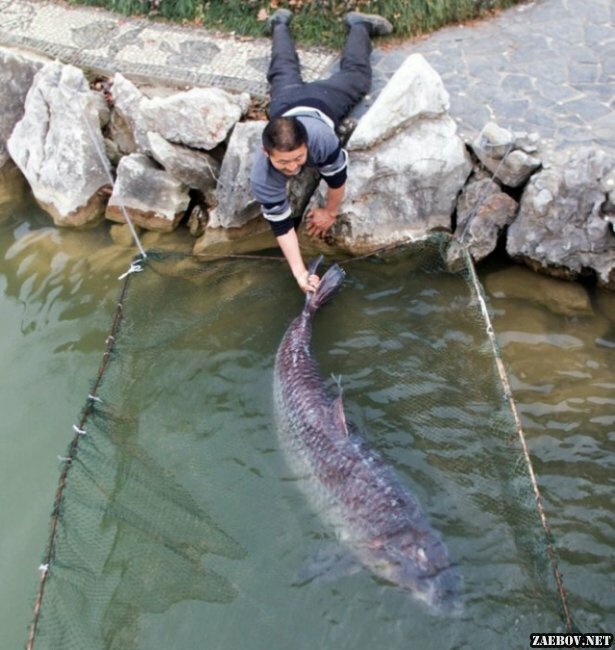 Depending on the fishing conditions, hatching, for example, a five-kilogram carp may take ten minutes, twenty or even more. Here is the main experience. Well, he, as you know, comes with time, with torn gears and shouts of disappointment. In order to acquire this invaluable experience and learn how to properly feel the fish and the capabilities of the gear used, first of all, we need practice and of course some theory. Here’s a theory today and talk. 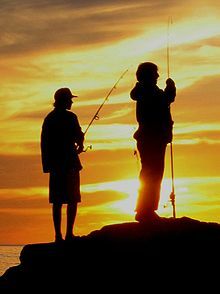 Skipping the huge stages of fishing – the preparation of gear and equipment, the search for fishing grounds, the feeding process, the selection of nozzles, let’s move immediately to the culmination of fishing – to biting, but not simple, but really large fish, the correctness of which is of particular importance. Poklevka large fish, as a rule, different from the little things. 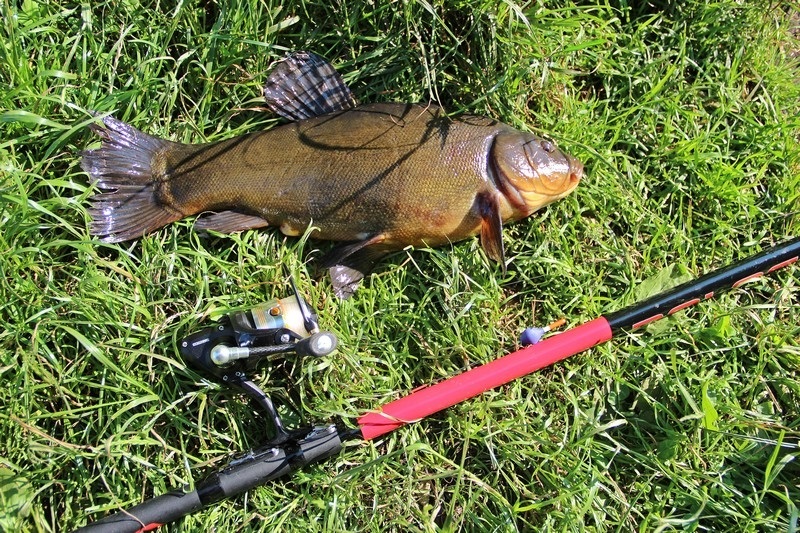 If for a long time you catch crucians, podsleschiki and got used to their bites, then when a large bream or carp finally bite it, it will be felt immediately. Such fish peck differently, but not necessarily sharply and confidently. Large specimens have grown to such a size due to the fact that they have learned to think about what kind of food they take in their mouths. As a rule, behind the tugs or sharp jerks comes a confident pull. The main thing is to choose the time of cutting. If you hook too early, the baited hook may simply pop out of the fish’s mouth without hitting it. If it is late, then the fish may swallow the hook too deeply, which will lead to more injury to it, or just have time to free itself from the hook. When cutting is done, the angler, holding the rod, determines what size the fish is on the other end of the gear. This is not difficult to do, and even with a small experience of catching, jerks and resistance of trophy specimens will be immediately felt. 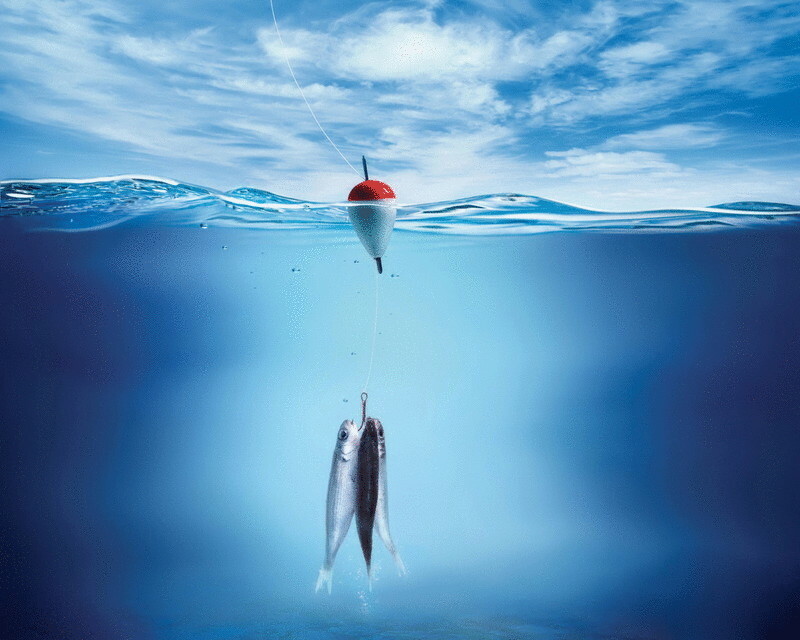 The chance to successfully bring the fish to the shore and lead it to the landing net increases with its fatigue. That is, you never need to force events. Newbies often make the same mistake, thinking: “The sooner I bring the fish to the shore, the less there will be chances for it to break.” This is not true! The main thing here is to exhaust the fish, weaken its jerks and the ability to make sharp movements. 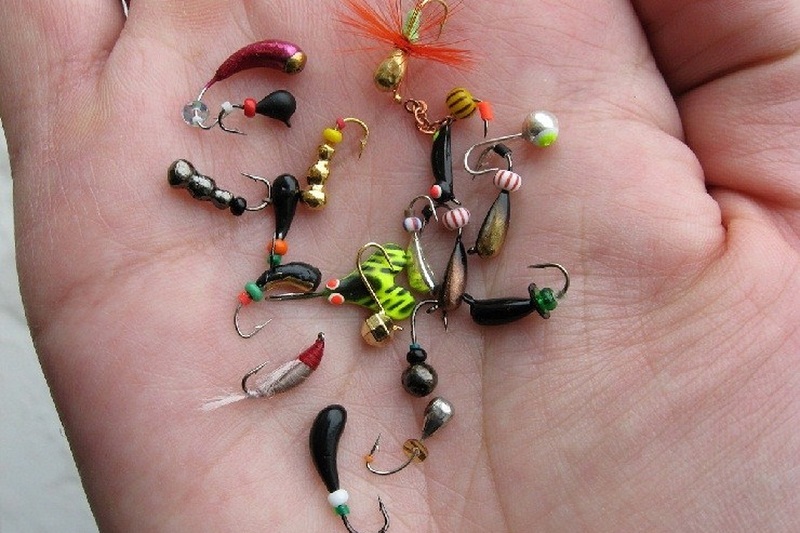 If the coil friction and the rod work properly, do not let up the slack and do not cause the leash to overload, then you can remove almost any fish. You know that a three-kilogram carp is brought out with a leash designed for a breaking load of one and a half kilograms, and this despite the fact that there are also knots on the leash that further reduce its strength. This is achieved by damping jerks with a rod, a reel friction clutch, and a “cold” head of an angler. Very much depends on the quality of the coil friction and its settings. At the first stages of removal the brake should be tightened slightly. At this stage, the jerks of the fish are the strongest and the reel should react faster to the sharp tensions of the fishing line. When letting the fish down, when it feels like it is starting to weaken, the brake is clamped more, and the winding is done more confidently. You can often hear the expression “pumping” or “pumping out” fish. What does it mean? When vyvazhivanii should tighten the fish rod, and then, giving it forward, exhausting the slack coil, and so time after time. Do not allow the slack of the fishing line or cord. 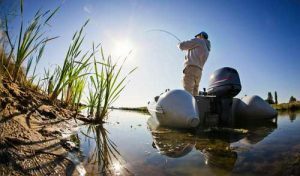 Tackle must be taut, slack fishing line is a direct path to the loss of fish. 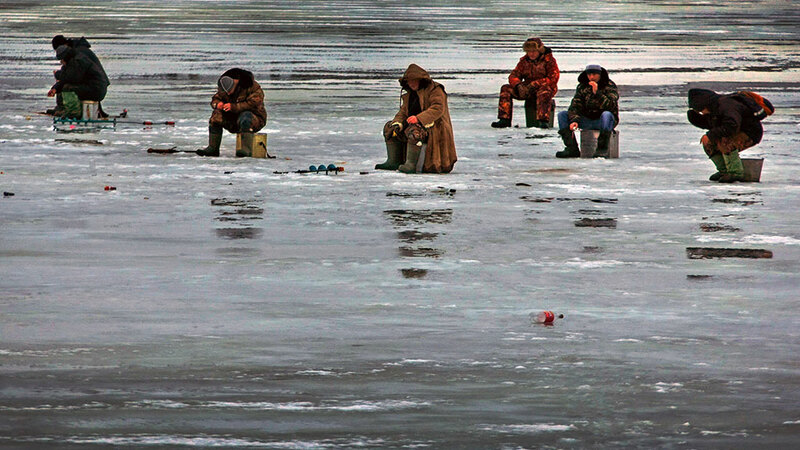 It is important to note that before fishing you need to consider the chosen fishing place. When approaching the fish, the fish will try to escape to the reeds, to the bluffs.